If you have diabetes or diabetes runs in the family it is very important to have an eye exam. Early signs of diabetes can be detected during your eye exam so treatment can begin to prevent future loss of your vision. Eye Floaters are tiny spots or flecks that can be seen drifting in your line of vision. It is very important to immediately come in for an exam if you see floaters since this can be a sign of a retinal detachment. 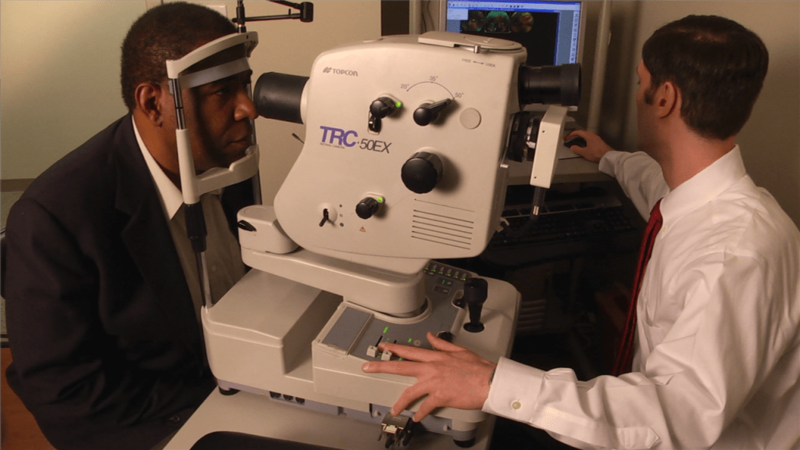 A retinal detachment or tear can lead to loss of vision if not properly treated. Age related macular degeneration (AMD) is the leading cause of blindness in people who are 65 years or older. Macular degeneration is caused by the degeneration of the central area of the retina or macula,responsible for focusing central vision in the eye and important for reading, watching TV and driving a car. Although there is no cure for macular degeneration, there are treatments that can slow the progress of this disease. Corneal abrasion is a scratch or tear on the surface of the cornea that can be painful but is easily treated. Corneal transplant is a procedure where damaged corneal tissue is replaced by donated corneal tissue. Keratoconus occurs when the normally round cornea thins and forms a bulge interfering with vision.Sometimes this can be treated with specialty contact lenses or may require corrective surgery. LASIK Surgery can correct vision in cases of myopia, those who see objects nearby, and hyperopia, those who see objects that are far away.Newer techniques in LASIK surgery can now correct vision for those with astigmatism and those who wear bifocals. Following Laser correction surgery, most people are able to see without the use of corrective glasses or contact lenses. Glaucoma may have no symptoms until it becomes so severe that there is loss of vision. 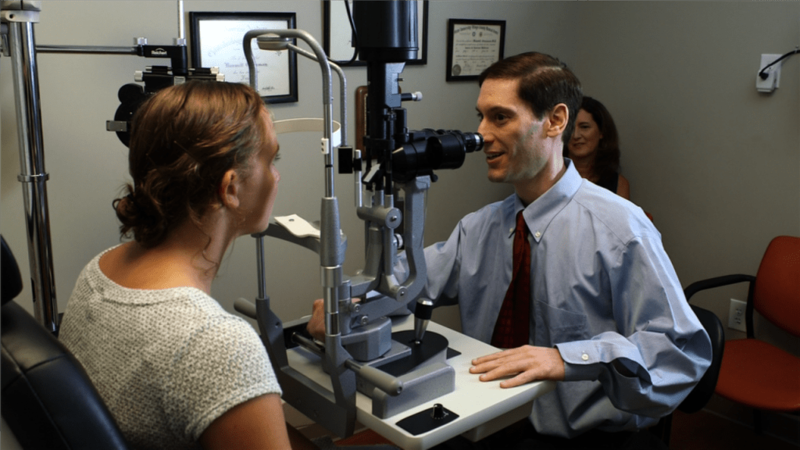 It is important to have an eye exam to detect Glaucoma in its early stages and begin treatment as soon as possible to ensure good sight in the future. 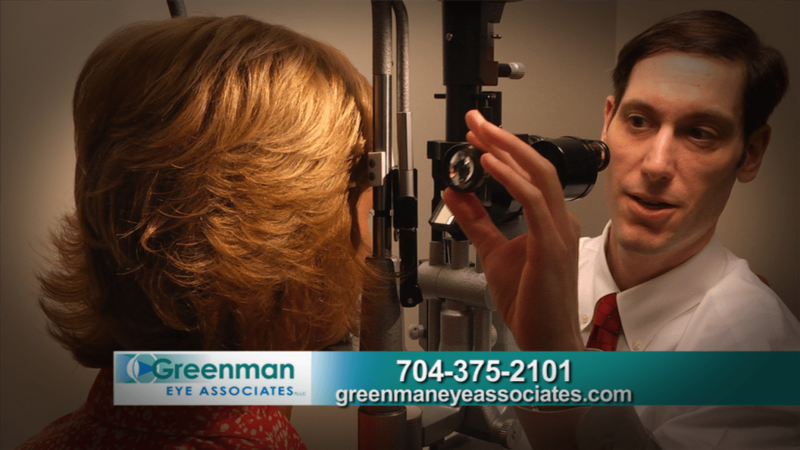 If you have a family history of glaucoma it is very important to have regular eye exams. Dry Eye occurs when tears are not able to provide enough moisture and the eye becomes irritated and feels scratchy. There are several treatments available for dry eye. It is important to visit your eye doctor before this condition adversely affects your vision. Blepharoplasty can be performed on the upper or lower lids for medical or cosmetic reasons to lift upper lids or remove bags from lower lids.Eye lid surgery can also be performed for lid conditions including ptosis (droopy lid), ectropion, entropion and basal cell carcinoma. Chalazion surgery can be performed to remove a stye or swellings around the eye lid. Conjunctivitis (red eye) an inflammation of the eye and blepharitis, rosacea, and seborrhea inflammations in the eye lid can be treated with medications to relieve discomfort and prevent further infection. It is important to have an eye exam as soon as possible after these symptoms appear. Children with strabismus (crossed-eyes) should have an eye exam as soon as possible.Typically, the pediatrician will refer the child to an ophthalmologist. Strabismus surgery is performed on a child as early as possible to prevent double vision or eye strain. Also, if this condition runs in the family, it is important for the child to come in for an eye exam. Strabismus surgery is also performed on adults who require eye muscle surgery. 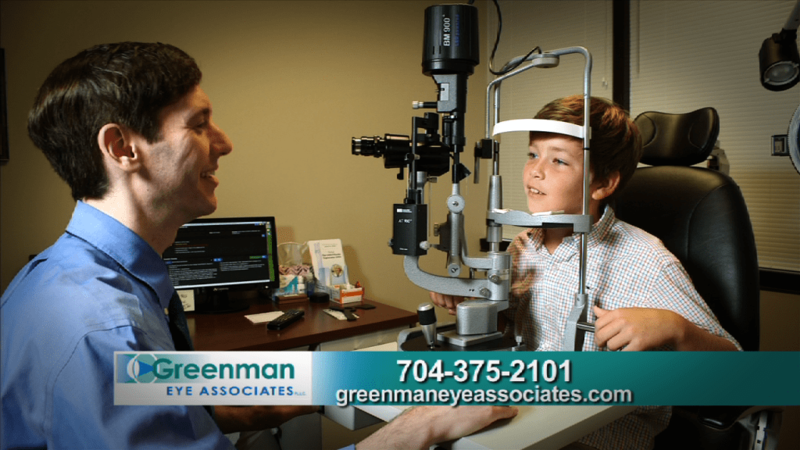 Greenman Eyes Associates provides routine eye care for adults and children and accepts most vision plans.We have a full selection of glasses and contact lenses to correct and enhance your vision.